Has your organisation developed an innovative TEC product or service over the last year? We are looking for TEC examples which have proceeded through some early trials and are ready for further development and wider use. Effective examples of digital innovation would be co-produced with users, carers and practitioners and show early evidence of improving individual health and care outcomes. Has your organisation incorporated TEC within a joined-up, connected setting, for instance, covering health, housing, social care and other services (eg Fire and Rescue Services, Ambulance and Paramedic Services)? 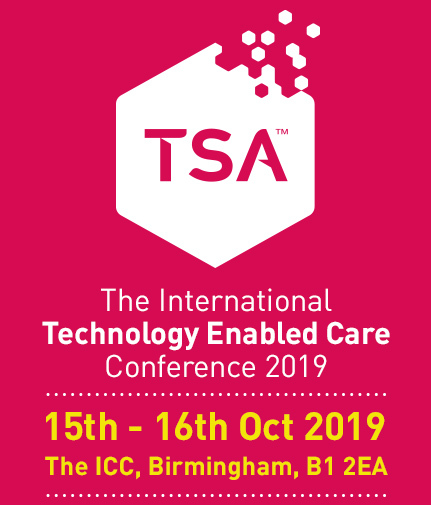 We are looking for TEC service examples where care has been digitally coordinated across sectors, across organisations or across teams that use timely data sharing to improve outcomes for users and patients as well as providing joined up information for decision-making by practitioners and service providers. Does someone in your organisation demonstrate TEC leadership skills? We are looking for standout individuals that have a positive approach to developing and exploring the use of digital TEC products and services to improve outcomes for users, patients and carers. These are individuals that involve and empower stakeholders. They build on successes and learn from failures, constantly looking to improve quality and cost-effectiveness. Does your organisation support and develop winning TEC teams that go the extra mile? We are looking for top teams that make a difference. They could be commissioners or developers, assessors or responders, care planners or technicians, or multi-disciplinary teams. They could work in the same building or across organisations. They can even work virtually. Does your organisation provide TEC products and services across various countries in addition to the UK? We are looking for suppliers and providers who work across geographical boundaries to leverage TEC for the benefits of users, patients, carers as well as practitioners. A registered office in the UK is a requirement.